The holidays are over. The winter feels as though it will last forever. You long for an escape from the cold but you can’t leave the city. In Manhattan, City Bakery has the solution. 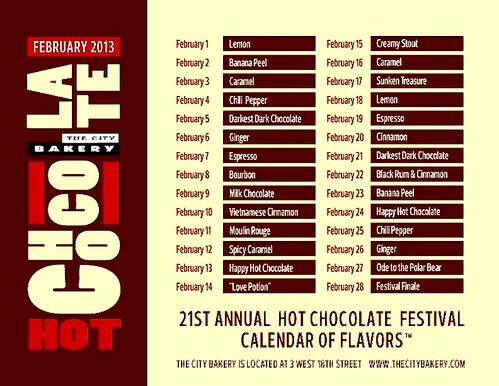 Every February, when the weather is at its bleakest, they host a Hot Chocolate Festival. Now in its 21st year, the Festival celebrates the rich, creamy drink by featuring a different special flavor every day of the month. This year, the flavors range from Bourbon (February 8) to Vietnamese Cinnamon (February 10) to Creamy Stout (February 15th). 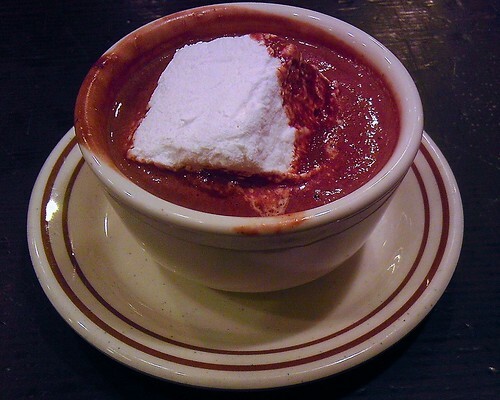 Today, I’m being a bit of a purist, with Darkest Dark Chocolate Hot Chocolate (so thick you can eat it with a spoon) topped with one of City Bakery’s home made marshmallows. And suddenly, February doesn’t seem long enough. 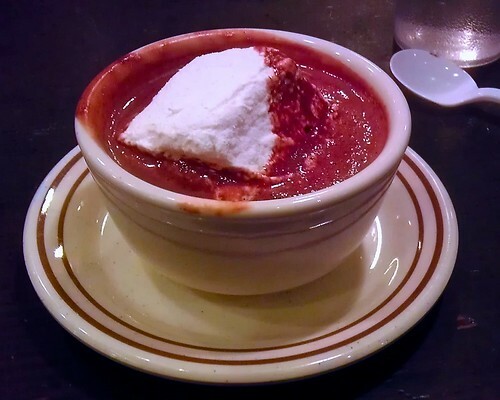 You are currently browsing the Blather From Brooklyn blog archives for February, 2013.